When planning a dream vacation most people find themselves checking (and rechecking) the weather forecasts as their trip approaches. And, if the weather reports you are looking at include a trip to Florida, it's not unusual for the forecast to be plastered with a variety of weather conditions that could potentially have an impact on how you plan your day. We receive lots of emails from families worried that Mother Nature will ruin their trips. However, with a little advanced planning the weather doesn't have to be anything more than a slight annoyance. Florida is known for its sunny skies and warm temperatures. Unfortunately, it is also known for more extreme weather such as hurricanes and oppressive heat and humidity. The monthly dashboards will give you a good overview as to what you can expect that month in regards to the weather at Disney World. In most situations, when it comes to the weather it is better to be prepared than it is to just try to "wing" it. 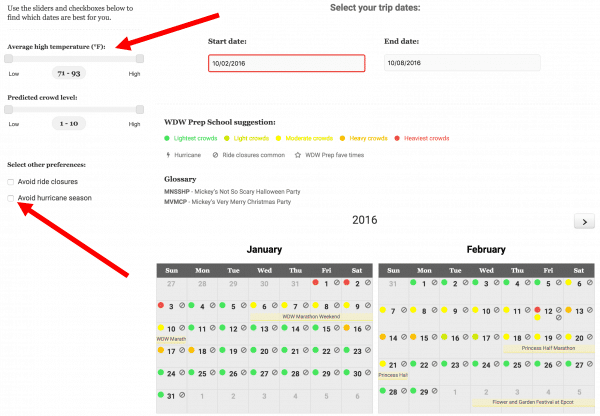 Level 2 WDW Prep Members also have temperature info in the calendar tool to help choose dates based on temps and hurricane season. If you aren't used to high heat and humidity it can come as quite a shock to your system. There are, however, some things you can do to minimize the effects. The best way to maximize your time for park touring while avoiding the mid-day heat is to start before the parks even open, and then plan to leave as the crowds take over and the heat and humidity approach "surface of the sun" levels. It will be tempting to stay - but don't! Head back to your hotel. Get out of the sun. Nap. Take a shower. Basically, give your body a break and a chance to cool off. As the sun begins to set you can head back to the fun - rested, recharged, and ready to go. The heat and humidity will zap you faster than you can say supercalifragilisticexpialiholycowitshot. Drink lots and lots of water. All of the counter service locations will give you a free glass of ice water or you can bring in your own. Some people report a slight sulfur-esque (sulfur-y?) smell/taste to the water so if you think that might bother you consider a filtering water bottle or ordering bottled water for your room and carrying that with you. Not every guest will have this problem, but chafing can ruin your trip if it happens to you (and high heat and humidity are the ideal environment for chafing to occur!). There are lots of products that can help and if you feel a problem coming on, it is better to prevent it than it is to try to treat it. Thighs and feet are common problem areas and you'll find lots of great advice on how to battle prevent chafing in this overview on choosing shoes for your trip. 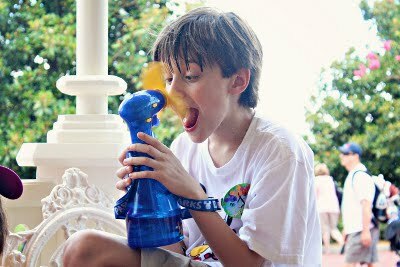 At the parks, you will see lots of spray misting fans for sale. Although they seem expensive, they work really well. You can get something similar at Walmart, Target or Amazon. For little ones in strollers, there are clip-on fans that run on batteries that can be super helpful. Be sure to bring extra batteries since you'll probably be running the fans all day. Not only are the right shoes important, the right clothes can make all the difference, too. 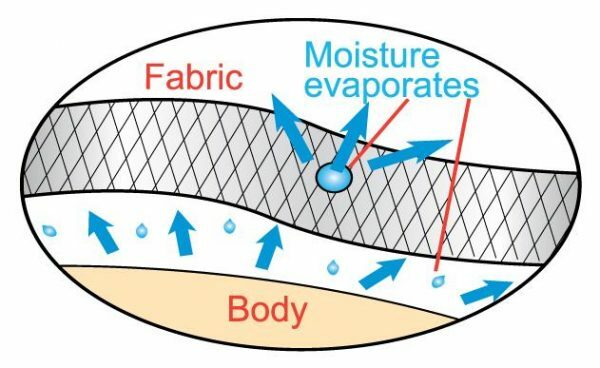 Shirts, shorts and socks designed to wick moisture away are very helpful but even avoiding heavy, non-breathable fabrics can help and hats, visors and sunglasses are useful for protecting your head and eyes from the powerful rays of the sun. Sunburns aren't just something you get at the pool. Even though most of the queues are indoors or in the shade, you'll still be spending a lot of time in the sun. Pay attention to the instructions for re-application and make sure to protect delicate areas like your ears and even your scalp, especially where you part your hair. If your trip doesn't allow you the luxury of taking a mid-day break, consider booking a Table Service reservation at the park you'll be visiting for lunch. Lunchtime meals are often less expensive than dinners (so keep that in mind if you are on the Dining Plan and are trying to maximize your value), and it will get you off of your feet and into the air conditioning for a nice break. During the summer, it is not uncommon to see rain in the forecast every day of the week. However, while rain during a trip might be a slight annoyance, it doesn’t have to ruin your fun. Not all rain is equal. In the summer, you are likely to have rain showers every day. These showers will happen during the afternoon heat - they’ll bring heavy rain (for a bit) and then clear as the evening approaches. Do you know what is great about this type of rain? If you schedule a daily break during the hottest part of the day you’re likely to miss most - if not all - of the heaviest of the showers. But, what about rain in the forecast during hurricane season? Although June - November is officially considered hurricane season, most activity takes place in August, September and October. If you're traveling during hurricane season, book travel insurance. You can research trip insurance options using InsureMyTrip.com to compare various plans. If you choose to get trip insurance, you should buy it within 14 days of paying the deposit on your trip to make sure you get maximum coverage. Hurricane predicted to collide with your trip? If you are at home just before a hurricane, you can possibly cancel your hotel reservation and reschedule for a later date. 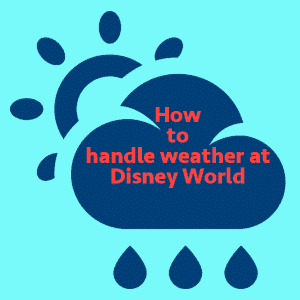 You can read Disney's full hurricane policy at https://disneyworld.disney.go.com/faq/hurricane-policy/. 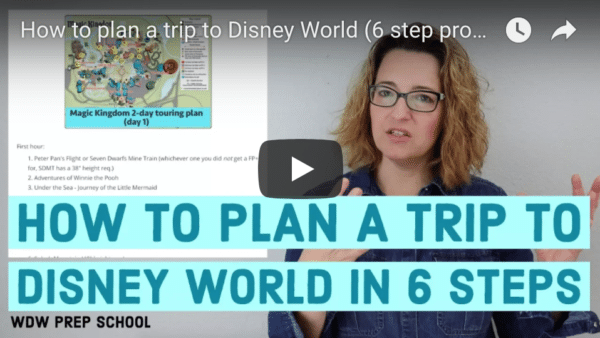 Already at Disney World? Move your fun indoors. Arcades at resorts and shops in the parks are a great way to spend time while the rain comes down. Or you could visit these attractions which are indoor or covered and usually have a low wait time. Not all rain gear is created equal. If the rain chances during your trip are small, Dollar Store ponchos might work and they are definitely great to use on attractions where you might get wet like Splash Mountain & Kali River Rapids. However, if your trip has the possibility of lots of rain it might be a better idea to invest in some sturdier ponchos that can stand up to heavier downpours. If you forget to bring your ponchos, nearly every store on property sells them. Even if you don’t see them, they’re there, hiding behind counters waiting for the skies to open and the guests to pour in. The ponchos on property cost around $9 each, which isn’t too bad considering you're paying Disney prices. Don't forget to pack a Ziploc bag to store your wet ponchos in after you use them! And, you'll want to remember to hang your ponchos out to dry as soon as you get back to your room. Wet ponchos can and will mildew very, very fast in the Florida humidity. Cell phones, cameras, strollers - a downpour can mean disaster to all of them. Even if you have water-resistant cases, consider carrying appropriately sized Ziploc bags as backup to protect your electronics. Stroller covers can come in very handy, but even a shower curtain and strong clips can serve the same purpose to protect your stroller and all of its contents. If you find yourself in the parks needing something to cover your bags or cameras, you can usually get one of the plastic Disney bags from the stores for free. Just be advised that sometimes the plastic blue shopping bags have been known to have the blue ink rub off onto fabrics. There have been reports that in some stores Disney World has switched to clear bags, so maybe they’ve caught on that the blue ones can cause issues when wet. One of the fastest ways to have a miserable trip is to wind up with blisters, and one of the fastest ways to get blisters is to walk around in wet shoes and socks. This is one of the reasons why it is recommended you bring at least 2 pairs of shoes to Disney World. Not only can it help your feet to switch out shoes on a regular basis, it also gives you a spare pair if you wind up in a downpour. If you think you might be in the parks during the rain, consider bringing a pair of shoes that dry quickly. Keens and Tevas are both popular brands of shoes that can both handle the rain and dry out fast. Whatever shoe you choose, though, make sure that they have decent traction because the pavement can get slick when wet. Do you have other ideas for dealing with Florida weather? Feel free to share in the comments. We parked our stroller outside Be Our Guest in good weather without the cover on it. It started pouring rain as we came out. Lesson learned. After that we covered the stroller every time we had to park it, rain or shine. The weather there can change quickly! we always get hungry in the park, any easy snack ideas?? Walmart’s great for dried fruit, nuts, chips. Bring a small water bottle, less weight, and refill it at the soda fountains with cold filtered water. A couple years back my family went to stay at the wilderness resort during a hurricane was one a few times it ever closed the park we stayed at the resort. During the hurricane the staff had activities for the kids throughout the night and really cool going to the hallways and just having a great time they brought characters and into the resort to meet the kids. I have read there is a higher chance or tornadoes in March? Is this true? Should we be worried? Another suggestion for the heat is to use reusable cooling towels that get cold when they get wet and stay cold. You can wear them around your neck. Spaceship Earth is an air conditioned, completely indoor ride. Voyage of the Little Mermaid is not a covered attraction but entirely in an indoor air conditioned theater – if it’s still open, I’ve heard it was closing. Are you referring to the chart? 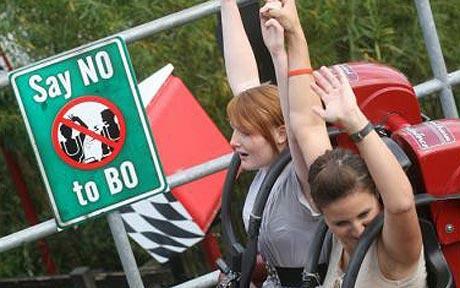 The chart refers to the queue, not the ride. Voyage of the Little Mermaid is not closing. Be sure to also bring a foot spray and/or foot powder. I think it is a great idea.???? I carry a pair of lightweight flipflops in my daypack. If it rains, I swap them for my comfy shoes and socks. I switch back after the rain stops. Not only do my shoes stay dry, but my feet get some relief by wearing a different shoe for a short while. You can also totally use regular deodorant if you don’t have Body Glide for chafing. The great thing is you can get the little travel sized ones and bring them into the park with you in case it needs to be reapplied (though I don’t think I really had that problem). My partner and I found that this worked even better than my baby powder, or even his Gold Bond powder! I have some pretty prolific thighs, so this has become an essential part of our Disney trips. Also, moleskin is a lifesaver for sure, and using it ahead of time is absolutely necessary. Way better than just putting a bandage on a spot that’s likely to rub! A good tip for wet gym shoes is to stuff them with newspaper overnight; even better if someone gets up in the middle of the night and puts fresh paper in. We were in DL during a monsoon and this helped a bunch. It came down so fast that the puddles were a problem even after it stopped. Any tips for Winter travel? I’m afraid we’ll have to pack for all 4 seasons.. and then go back to our hotel to change as the weather changes. I suggest looking at the forecast just before you leave to help determine what to pack. Sometimes it’s hot during the winter months, sometimes it’s cold. I usually end up wearing a sweater/jacket in the mornings and evenings and taking it off mid-day. I have gone twice in January. It can be FREEZING or it can be nice. I think having a hat, gloves and scarf with you can make all of the difference. Especially at NIGHT when the sun goes down. In addition, make sure you have a warm non-bulky fleece and long pants in your suitcase. I like those hand warmers you can buy at your local drugstore for watching the fireworks and parades. Just remember it might be 45 degrees at 7:00am when you leave for EMHs or a pre-park opening, 68 degrees at mid day and down into the 40s again at night. Remember to LAYER. Our family went twice the end of January. Chilly mornings & evenings, often with 70s in the afternoon that can get quite hot walking in the sun. With shorter park hours, most days we did not break. So we rented a locker to put our jackets in around 10am, and retrieved them around dinner. $10 is worth not having the hassle of carrying them around or losing.